I LOVE Holly Black and she is pretty hilarious. I haven't gotten anything signed by her, but she has been on several panels that I have attended in the last year. 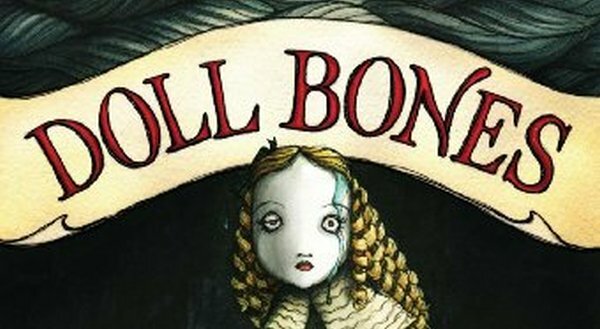 Doll Bones has been on my TBR list FOREVER! Gonna have to pick it up now. Oh, fun! I never get to attend cool book stuff. ;) Yes, you should definitely pick it up now. 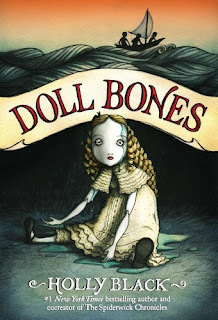 I am a HUGE Holly Black fan and I agree about dolls. There is something so creepy about them! I need to read more Holly Black. I'll probably check my library's digital books in a bit. I haven't even heard of this one but can you say creepy? *shudders* Sounds like it was more cutesy than terrifying but still. I want to read this one so badly but my greatest fear in life is dolls (well, and clowns) but dolls scare the bejeezus out of me! It's good to see that it's a bit lighter than I had thought it was going to be. Great review, Jennifer! You would do fine. I'm full on scared of dolls. That's probably why God gave me all boys. I loved Holly Blacks Curseworkers series. Middle grade books don't always work for me, but since it's by Holly Black I would give it a shot. So glad you liked it! Awesome. I put White Cat on hold at the library. Dolls - especially porcelain dolls - can be VERY creepy! They're right up there with circus clowns. Looks like you've got great taste in books. I would love to know your thoughts on Horns! Aw, thanks. Yes - VERY creepy. Ha! I'm not sure anyone is going to be thrilled with my thoughts on Horns. Heartwarming and cute? I wasn't expecting that! Eeee, the doll on the cover is so creeepy!! I love Holly Black and I would definitely recommend her Curse Workers series. I am really looking forward to reading this - it's sitting on my shelf haha. My sister is an art doll artist (one of her dolls is being featured/published in Art Doll Quarterly this November!!) So I love and collect dolls - my office is FULL of creepy little beauties staring down at me all day!